Although we think all of our Christmas ecards for business are as beautiful as the rest we have to admit that there is something truly special about this particular electronic card. We really love the tranquil and serene nature of our Christmas river ecards; it transports us directly into the beautiful winters scene making the most of the elegance and charm of the festive season. When sending out Christmas ecards for business you will not only want to choose a design that can really bring to life the wonder of Christmas, but will also ensure that your own business message and brand is communicated to your customers, clients and contacts. That is why our ecards are made to have plenty of space for you to customise adding the touches that truly makes the ecards your own. We also make sure that our animations are simple, not to detract from the image and message that it contains. 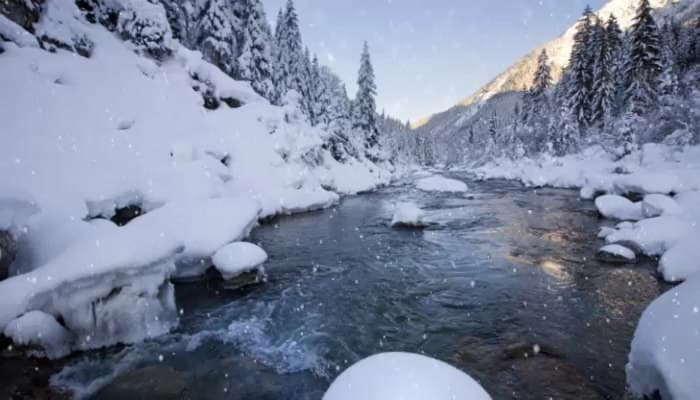 Christmas River is not only a wonderful winter scene it also encapsulates the charm of the holiday season in one simple yet beautiful corporate holiday ecards. So why not pick it to wish your most important business contacts the very best of the holiday season? Your company will feel the benefit of our wonderfully designed electronic greeting cards.